The parent company of British Airways, International Airlines Group (IAG) has shocked the global aviation market by launching a new Vienna-based subsidiary airline with less than three weeks’ notice before flights begin. International Airlines Group’s new operation is called Anisec. It will be branded as Level – the same as the group’s existing long-haul budget operation. The move is seen as a challenge to Laudamotion. It is an existing Austrian airline in which Ryanair has a 75 per cent stake, and could trigger a massive fares war. The short-haul flights of Level will begin on 17 July. On that day flights between Gatwick and Vienna are available at £23 each way. The air services will start on the same day between Vienna and Palma de Mallorca. Over the subsequent four weeks, the flights from Vienna will be launched to six Spanish destinations and three cities in Italy, as well as Paris, Dubrovnik and Larnaca in Cyprus. The latter two routes offer connection opportunities for British travellers from Gatwick via Vienna. The new airline uses Airbus A321 jets – bigger planes than other low-cost carriers. They seat 210 passengers, compared with a maximum of 186 on easyJet and 189 on Ryanair. IAG already has a low-cost short-haul airline, Vueling, which is based in Barcelona. Initially, the bookings for Level are being made through the Vueling website. With so many holidaymakers already booked for the summer holiday, to launch an airline with just 19 days’ notice is most unusual. 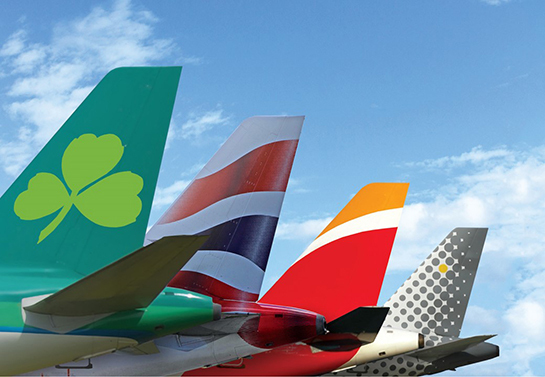 International Airlines Group also has a small shareholding in Norwegian, and has made an unsuccessful bid to take over the airline. Αναρτήθηκε από geop στις 8:12 π.μ.